Have you ever wondered why your Linux operating system looks the way it does? Free and open source desktops offer numerous interfaces. The interface that appeared when you fired up your Linux USB stick for the first time didn’t come out of nowhere. Most distributions of Linux turn to one of two desktop environments to provide the crux of what their users see: GNOME or KDE. That’s because these are the two oldest desktop environments for free and open source desktops. KDE came first in 1996, with GNOME following a few years later in 1999. Of the two, GNOME appears to be more widely adopted. 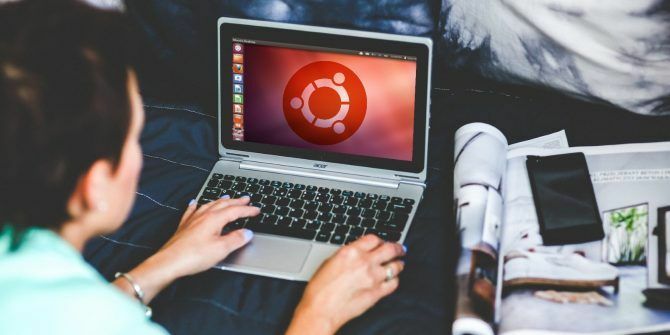 It happens to be the default on the most popular version of desktop Linux Ubuntu: A Beginner's Guide Ubuntu: A Beginner's Guide Curious about Ubuntu, but not sure where to start? Everything you could possibly need to get started with the latest version of Ubuntu is right here, written in easy-to-understand, plain English. Read More . But these aren’t the only two desktop environments out there, nor are they even the only popular ones. Why do some projects choose to go a different route? Someone had to make the decision to ship the particular desktop experience that they did. Why did they? There are way too many variations of Linux out there for me to explain them all, but here are six that, if you’re relatively new to Linux, you may be likely to encounter. When people offer the Linux kernel along with the software needed to provide you with a complete computing experience, the end result is what’s known as a Linux distribution (“distro” for short). Ubuntu is the most well-known distro made for desktop computers. The most recent version of Ubuntu made news recently for shipping with the GNOME desktop environment Stick With Ubuntu: GNOME Feels Surprisingly Just Like Unity Stick With Ubuntu: GNOME Feels Surprisingly Just Like Unity Ubuntu has abandoned Unity in favor of a new spin on the GNOME 3 desktop. But is it really all that different from Unity? Here's why you shouldn't really be thinking about quitting Ubuntu. Read More rather than an interface called Unity that Ubuntu has been shipping with for much of the past decade. This isn’t the first time Ubuntu has used GNOME. Ubuntu originally used the desktop environment from 2004 to 2010. Ubuntu’s 6-month release schedule is actually based on GNOME’s, with new versions of Ubuntu launching roughly a month after new versions of GNOME. When Canonical, the company behind Ubuntu, created the Unity interface, it did so relying on some GNOME libraries and software. Fedora has been around a year longer than Ubuntu, and it happens to have the largest company in the open source world as its sponsor: Red Hat. It handles some of Fedora’s costs and employs a number of people who contribute to the project. This is because the company uses the open source software in Fedora to create its own commercial offering, Red Hat Enterprise Linux. As it turns out, Red Hat happens to be the largest corporate contributer to GNOME as of 2010. Fedora’s close relationship with Red Hat, with people developing both Fedora and GNOME, places the distro in a position to implement many aspects of GNOME before others 5 Reasons to Use Pure Open Source Distro, Fedora 5 Reasons to Use Pure Open Source Distro, Fedora Fedora isn't as well known as Ubuntu, and has a reputation for being hard to use. But if this is true, why do so many people continue using Fedora? Read More . Fedora was the first non-rolling release distro What Is a Linux Rolling Release, and Do You Want It? What Is a Linux Rolling Release, and Do You Want It? Learn more about why certain Linux distributions have a "rolling release" schedule and what that means for you. Read More to provide GNOME Software and Wayland support, for example. Unlike the two aforementioned Linux distros, openSUSE does not technically have a default desktop environment. Instead, you are presented with the option to install either GNOME or KDE. But openSUSE has historically adopted KDE as its top pick, and the project still has a reputation for providing a top-notch KDE experience KDE Explained: A Look at Linux's Most Configurable Desktop Interface KDE Explained: A Look at Linux's Most Configurable Desktop Interface What does Linux look like? Sometimes, Unity; other times, GNOME. Oftentimes, though, Linux runs KDE. If you're not using the erstwhile K Desktop Environment on your Linux PC, now is the time to change! Read More . KDE and openSUSE both have their origins in Germany. SUSE, the first company to market Linux for enterprise use (and the sponsor of openSUSE), was founded there in 1992 Who Made Linux and Why Is It Free? Who Made Linux and Why Is It Free? Linux is the most widely-used free and open source operating system in the world. Unlike commercial alternatives, no person or company can take credit. But why is it free? And who is behind Linux? Read More . A computer scientist in Germany, Matthias Ettrich, founded the KDE project four years later. Elementary OS founder Daniel Fore was originally an enthusiastic GNOME user. Known online as danrabbit, he gained attention for his icon sets and app themes, which became popular across many Linux distributions. However, he and others had broader ideas for the GNOME desktop that there wasn’t enough consensus around to incorporate. So they branched off to create their own desktop environment Want to Install Elementary OS? 7 Reasons Why You Should! Want to Install Elementary OS? 7 Reasons Why You Should! Elementary OS has developed into a compelling computing experience in 2017. Wondering if it's time to make the switch from your current Linux operating system? Here's why the answer is Yes. Read More , now known as Pantheon. With a dock at the bottom plus a gray theme with blue folder icons, many people feel a Mac-vibe from Pantheon. But the GNOME origins are easy to see. The Applications menu remains in the top left, the date and time are in the center, and system icons are in the top right. Once you get past the Close and Maximize buttons, app toolbars aren’t that different from their GNOME counterparts. The Cinnamon desktop environment is available for many distros, but Linut Mint is the one it calls home Linux Mint vs Ubuntu: Which Distro Should You Choose? Linux Mint vs Ubuntu: Which Distro Should You Choose? Linux Mint and Ubuntu are two of the most popular Linux distros, but there are real differences between the two. Which one is right for you? Read More . That’s because the Mint developers created the desktop environment as a result of the changes introduced in GNOME 3.0. Cinnamon originally used the same underlying technology as GNOME 3. It was an alternative interface you could use in place of the GNOME Shell to interact with the same apps. That changed with the release of Cinnamon 2.0 in 2013. Now the project is its own distinct desktop environment with separate apps rewritten for better integration. Budgie began as the default desktop environment for Evolve OS, which became the distro now known as Solus. Ikey Doherty is a key developer of both. Budgie originally levered existing technologies to provide a simple and efficient interface with relatively little code to maintain. Early on, Budgie took a great deal of inspiration from Chrome OS Get A Chrome OS Look With The Budgie Desktop For Linux Get A Chrome OS Look With The Budgie Desktop For Linux You can't ever have enough desktop environments for Linux systems! For each new desktop environment, there's another choice for users that may suit their needs and preferences better than any other solution. Read More . As Budgie gained users, expectations grew. Now Budgie is more configurable, and it can be found in other distros such as Arch Linux, openSUSE, and Ubuntu Budgie. Some Linux distributions don’t have a default desktop. Arch Linux and Gentoo tell you to build your system from scratch. Even if your distro does have a default, it doesn’t matter which desktop you use. Most let you switch to a different one without much difficulty. Installing KDE on Ubuntu or Fedora — both GNOME-based distros by default — is as simple as entering a single command into the terminal. But oftentimes you will have the best experience sticking with the desktop your distro came with. There’s a history there, a relationship that has developed over years. Do you like your Linux distro’s default desktop environment? Do you wish it would adopt a different one? Which one? Let’s talk. It seems most major Distributions ship with multiple desktops. I personally like Mate, and have had no real trouble finding the Mate desktop for Debian, Ubuntu, Black Lab, Mint and PC Linux. I am sure there are many more that offer that desktop. I also will reject any OS that doesn't offer at least one traditional desktop, be it Mate, Cinnamon,KDE, XFCE, LXDE or the Classic/Fallback mode of Gnome. While they all have a default, you can usually find what you want unless looking for highly specialized Operating systems. I am not a do-it-yourself guy that is going to go through the hassles of trying to change the desktop the default OS. Pup can use XFCE or KDE if that's your cup of tea, but by default it uses a combination of the JWM window manager and the ROX-Filer 'pinboard' (which allows you to 'pin' icons, apps, widgets etc., to the 'desktop'). And it works amazingly well. I've got so used to it, I prefer it over any of the 'mainstream' DEs. Congrats on finding what you like. That is the power of Linux, Choice! "...but Linut Mint is the one it calls home." Whoops. Why "whoops"? Seems like a legit charactisation. "Why Your Linux OS Ships With a Default Desktop Environment "
Because the great majority of Linux users do not know enough of command language to be able to install a desktop environment from the command line. Also, a default DE makes it easy for those switching from other operating systems to get up and running with Linux right away. "Most let you switch to a different one without much difficulty. " It may not be difficult, especially if one uses a GUI package manager, but it is more than just installing a package or two. Most DEs do not share libraries so to install a completely new DE requires installing dozens of packages totaling anywhere from 300+ MB of software for LXDE to over 800 MB for KDE. "Do you like your Linux distro’s default desktop environment?" No. I am a confirmed KDE user. I have used starting with version 3.1. Now distros come with KDE 5 Plasma as default. I prefer KDE4.x. Plasma has taken some of the controls away from the user. Also a dedicated KDE user, but I love Plasma 5. I'm running it on Kubuntu with the staging plan, and it feels almost like having installed KDE Neon on non-LTS Ubuntu (except it actually works - I tried the latter configuration and it was p a i n f u l). The main reason I'm staying with Plasma is that all other DEs, with the notable exception of GNOME, are still at the point where they're trying to figure out how to make a DE work - what keyboard shortcuts to offer, how to show which applications are running, how to support user extensions to the UI, which configuration options to offer, where to show a calendar, a clock, a language indicator, a logout button, etc. While KDE (and to some extent GNOME) are at a different level of polish and ask completely different questions at this point: do we offer a per-application mute button? How to allow users to select a default sound device and per-application volume? How to let users to install fonts in a single click? When adding a screen, where do existing windows go? How to let users set a video as their wallpaper? How to handle input in keyboardless and convertible computers, and make it pretty? And lots of other tiny but oh so important details, which you worry about after you've spent 20 years polishing the desktop experience.